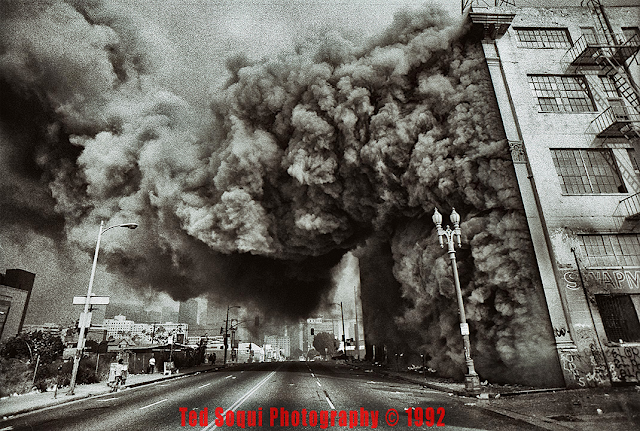 Twenty-four years ago today, Los Angeles burned in rage in response to the not-guilty verdicts in the brutal beating case of Rodney King by four LAPD officers a year earlier. 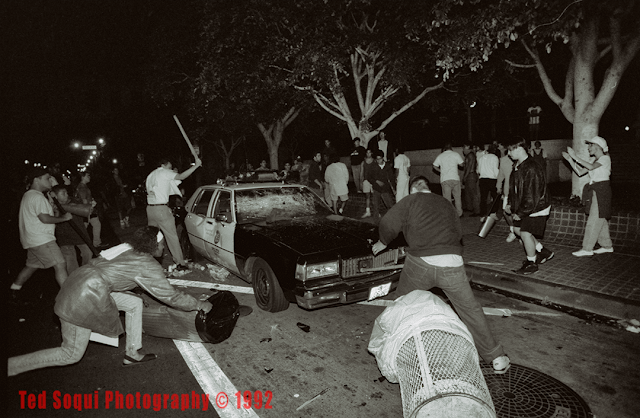 Hundreds of LA businesses burned and were looted, fifty-five people were also killed in the three day period beginning on April 29, 1992. 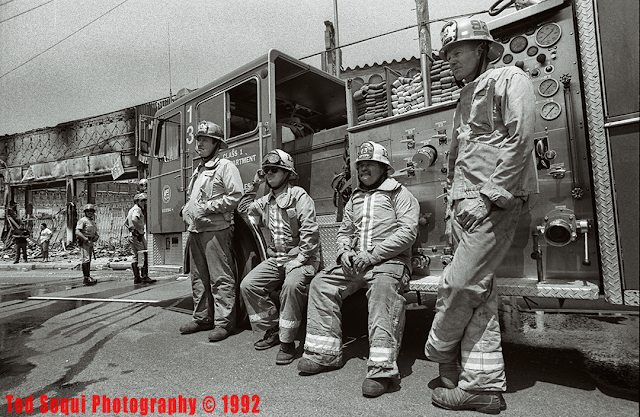 LAFD Station 13 firefighters on West Adams Blvd. 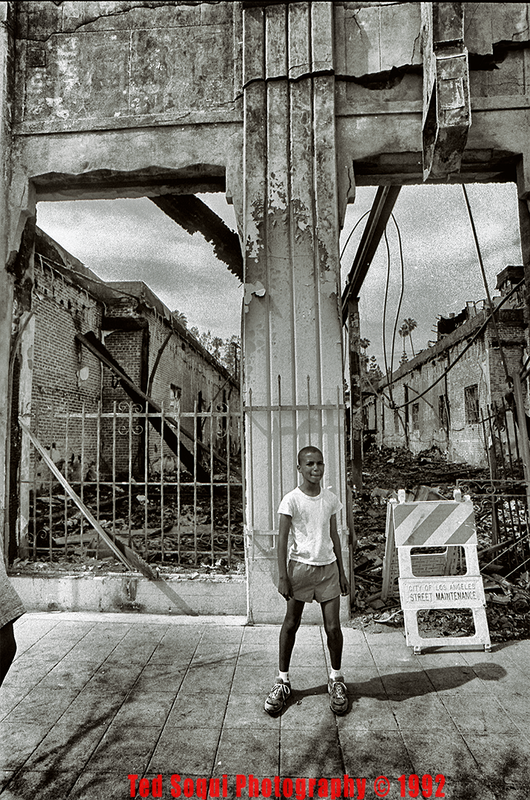 A young boy near Crenshaw Ave.